The Great Prime Debate: 2-Day Shipping or 2-Day Delivery? There's confusion among Amazon Marketplace sellers and Amazon customers regarding Prime Delivery service levels. 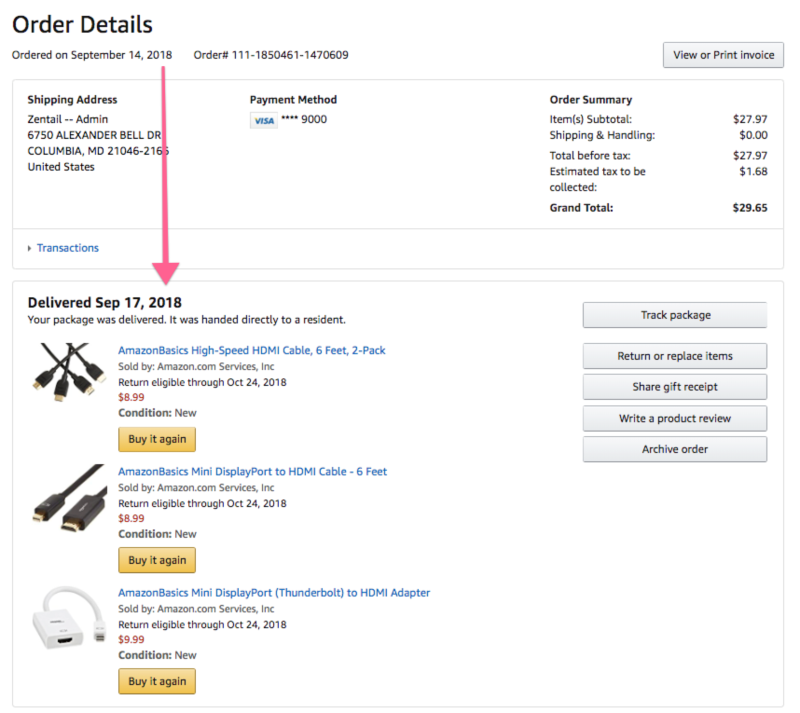 If you're a Prime member and you regularly shop on Amazon, you've probably started to notice that many Prime eligible products are not actually delivered in 2 days. Some in-stock products are promised in as many as 10 days. While the majority of orders are delivered in 2 days or less, there are slower delivery timeframes in play. For example, here's an order we placed on September 14, 2018 for products which were in stock, Prime eligible and guaranteed to deliver by September 24, 2018. While there was strangely a 10 day delivery guarantee, the order was actually delivered in 3 days. Is Prime free 2-day Shipping or Delivery? There is an important distinction between 2-day shipping and 2-day delivery. 2-day shipping implies that your order will ship in 2 days. 2-day delivery implies that your order will be delivered in 2 days. Amazon's official wording for their Prime Delivery service is "FREE Two-Day Shipping". From our research, in what feels like the majority of cases, you will receive your order in 2 days or less, however, the general promise to Prime members is that your order will ship in 2 days or less. The Seller Fulfilled Prime program allows qualifying 3rd party sellers to fulfill Prime-eligible inventory from their own warehouses. Based on Amazon's official Seller Fulfilled Prime program wording, it is clear that 2-Day Delivery is the objective, not 2-Day Shipping. Seller Fulfilled Prime is the Prime program that allows you to deliver directly to domestic Prime customers from your own warehouse. By displaying the Prime badge, you are committing to fulfill orders with Two-Day Delivery at no additional charge for Prime customers. Amazon gives you access to the right transportation solutions to help you meet the high bar for the Prime customer experience. 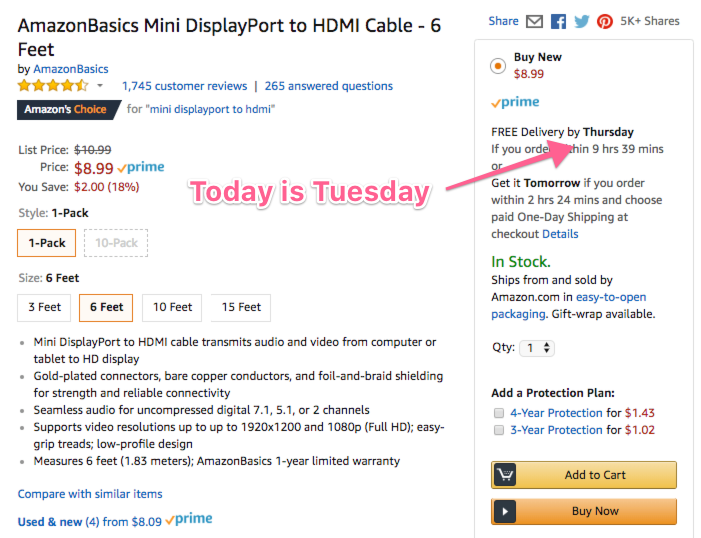 Seller Central Seller Forum: When did Prime 2 day shipping begin promising to arrive in 7 days? Amazon is aggressively building up its portfolio of private-label and exclusive brands. Learn more about Amazon Exclusives, Our Brands & other similar programs. Compare 3PLs specialized in cost-effective multichannel order fulfillment. Optimize your non-Amazon sales, streamline and grow your online retail business. Zentail's ShipWorks integration provides complete control over multichannel ecommerce shipping. Ship orders from Jet.com, Walmart Marketplace, and more.